Multimortar is a dry white powder consisting of non-organic compounds and perlite. When these are mixed with water, the compounds form a strongly thermal and insulating ﬁre-resistant mass. In the event of ﬁre, this mortar prevents ﬁre and smoke from spreading through ﬁre-resistant walls and ﬂoors. After having sealed openings with Multimortar, the wall or ﬂoor will retain its excellent acoustic properties. 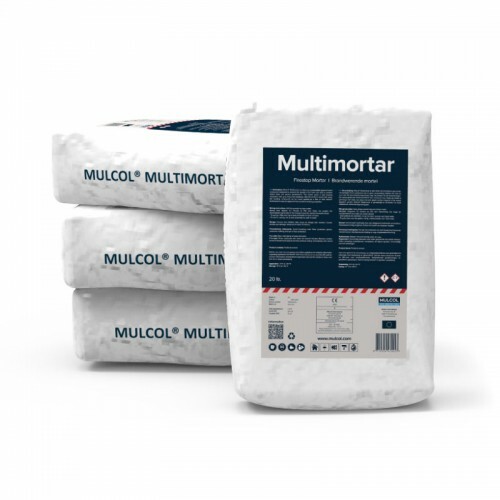 Multimortar forms part of the Mulcol® Penetration Seal System. 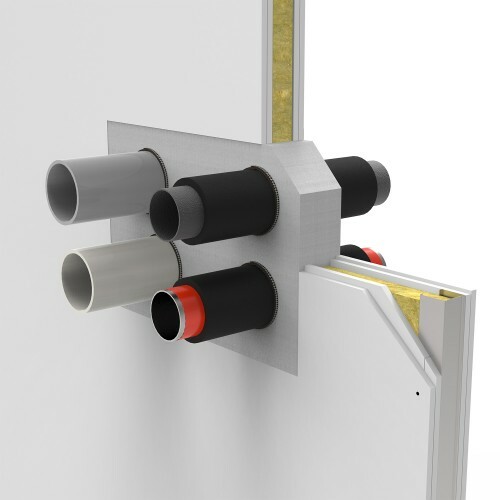 The Multimortar can be used in combination with the Multicollar Slim, Multiwrap and Multimastic FB ﬁre stopping boards.